Children's nurses are increasing having to deal with young people who have self harmed and need to develop more skills in dealing with such patients, the Nursing Children and Young People journal conference was told. 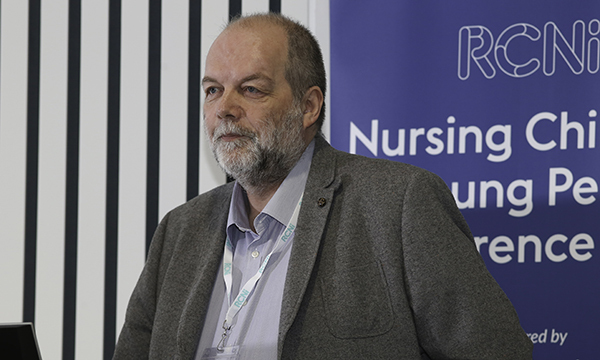 Children's nurses are increasingly having to deal with young people who have self harmed and need to develop more skills in dealing with such patients, the Nursing Children and Young People journal conference was told. Senior lecturer at Coventry University Laurence Baldwin told the first ever Nursing Children and Young People conference at Alder Hey hospital in Liverpool that children and young people with mental health conditions can be challenging for children’s nurses who have not been trained in mental health issues traditionally. He said nurses can feel fear, confusion at the patient’s choice to self-harm, disgust at their actions, pity, anger, irritation at how time consuming they are, and helplessness because they don’t know how to help the patient. ‘So just have a think,’ he said, urging nurses to be aware of their emotional response. The former consultant nurse, whose advice came from his time on a children's ward in Derby, said crisis moments could be viewed as an opportunity to change the patient’s life. ‘The number of children who self-harm because their boyfriend or girlfriend has dumped them is small, most of them are responding to something that has been going on for a while,’ he added. Mr Laurence also advised children’s nurses that if a young person or child with a mental health condition tries to speak to them, they need to listen. ‘If a young person wants to talk to you, it’s probably because they see something in you that makes them want to trust you,’ he said. However, he recognised the constraints on nurses' time and said the Care Quality Commission had pointed out staff have too much work to do in its first report in to children's mental health services.